The long-anticipated PAGC Perennial Order is here!! This is our yearly fund-raiser that helps cover the cost of our meeting room, speakers, door prizes, insurance, bank fees and the miscellaneous costs of our socials. Please SHARE it with friends and family!! Anyone is welcome to place an order! Please use the GOOGLE TOOLBAR inside each document (just below the title) to print or download your own copy. Orders are due at our next meeting on February 27th. Please submit payment with your order as we have to pay for the plants before they are shipped. In an effort to provide interest for everyone, we have tried our best to include a wide variety of bloom times, colors, plant traits and prices in each category. This year we are also offering some specialty day lilies that are schedule to be discontinued by the supplier. We have done our best to find good pictures and descriptions of these varieties. The cost for these special plants is higher than we usually include, but we wanted to provide the opportunity to order them if they interest you. Have fun planning your gardens! 7pm - Wed. Feb. 27 - Save The Date! Next Meeting - fun starts at 7pm! Tonight, we welcomed special guest, Oren Hercz who treated us to some delicious herbal remedies for cold and flu season! Thanks for a great attendance on such a cold night! Keep an eye out for the perennial order being posted by this weekend! Share it with family, friends and neighbors this month and bring the order forms and cash/cheques to the Feb.27 meeting! We always look forward to this annual fund-raiser and we hope you'll enjoy the variety in this year's selections! 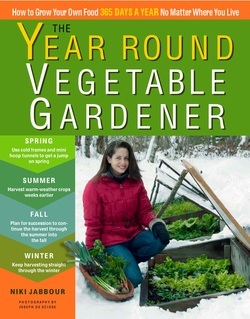 Next month, we will have another special guest, Niki Jabbour, who will be educating us on the intricacies of year round vegetable gardening. If you are so inclined, Nikki's book is available in stores or on-line in hard-cover, paperback, and e-book formats. We know that this topic will leave you inspired to get gardening so we'll be starting the evening off with a seed swap! 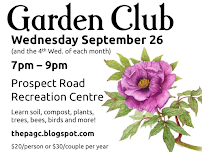 Bring your seed stash and some baggies or envelopes and get started on this year's garden planning! Once again, we will be collecting donations for our food bank who helps support local families in need. It's going to be a busy night so we'll plan to start collecting the perennial orders at 7pm! We'll aim for Niki's talk to begin shortly after 7:30pm. We are very excited to have a special guest speaker tonight! Dreaming about spring and starting your own seeds? ... we are here to help! and is guaranteed to brighten up those dull winter days! Starting seeds indoors is not only fun, but is also very beneficial for you and your garden. Would you like to grow your favourite tomatoes but can't find them in your local greenhouse? 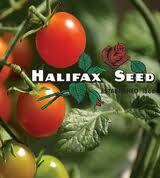 Starting them as seeds gives you access to our large variety selection and will save you money too! Whether you are wanting to grow vegetables, flowers or herbs, you will find that starting them indoors is a rewarding experience! Are you reluctant to begin because you are afraid you may not have the knowledge and skills to grow your own transplants? Vesey's is here to help! Our growing guide is available at your fingertips and gives you the basic information you need to begin your gardening experience. Timing is everything! Knowing just when to sow your seeds is important. Our growing guide gives you the number of weeks required between sowing and transplanting outdoors. To determine the last frost date for your area, click here. The large selection of seed starting supplies can be overwhelming to the beginner gardener, but you can easily start with the basics... some peat pots, soil mix and plastic holding trays. Veseys also carries seed starting kits, light gardens and a variety of starting flats and domes (clear plastic covers). 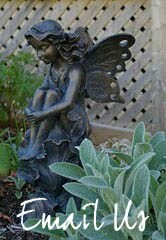 Just think of the fun, relaxation and fulfillment you will get by starting your plants early this year. 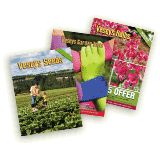 Happy Gardening from all of us, here at Vesey's Seeds! A pot wall of compressed peat is a nearly perfect environment for root development. Available in round, square and various sizes. Starting plants has never been easier! Includes a 24 cell planting tray made from a cornstarch-based material that is sturdy, yet biodegradable. Made from 100% coconut fiber, coir growing products are an ecological alternative to peat and are a favourite for starting seeds. Highly resistant to mold growth. You are receiving this email because you opted in at our website to receive promotional and sale information.